Last year, UHN disposed of 7,486 metric tonnes of waste…the same as over five-and-a-half million Ornithorhynchus anatinus (aka, the platypus, aka the coolest animal ever!). Put another way, that’s the same as over 165 Tamias striatus (aka the eastern chipmunk, aka my favourite animal recycling equivalency) marching out the door each minute…or over 2 per second! Put still another way, that would be enough chipmunks lined up nose-to-tail to stretch from Bickle to Lyndhurst (about as far as you can get from each other for UHN’s hospitals and, due to the occasional lapse in planning skills, a trip I’ve made more often than I’d like to admit) over 875 times! Put still another way, no matter how you look at it, that’s a heck-of-a lot-of-garbage. “Out of sight, out of mind” used to work pretty well for garbage. Put out the garbage and it disappears. Not sure where it went but, hey, I can’t see it anymore, so… But we’ve been so good at making garbage that more and more we’re finding that not only is it getting harder for it to be out of mind…we can’t really keep it out of sight. Take for example the many ocean “garbage patches” consisting of millions of pieces of plastic floating around…kind of hard to miss seeing those, even if they’re made up largely of “microplastics” which the naked eye can’t always see. And with more-and-more concern being raised about the possible health effects of these almost-out-of-sight microplastics, and compounds leached into the environment from plastics, it’s getting harder to keep it out of mind. “But what can we do?” you ask. “Garbage is a fact of UHN life”. I couldn’t agree more…disposable stuff is a necessary by-product of providing safe, world class healthcare, but when it comes to how much stuff we use and where that stuff ends up after being used…we can do better. You see, while we recycled about 36% of UHN’s heck-of-a-lot-of-garbage last year (the same as 1.8 million platypuses – platypii? 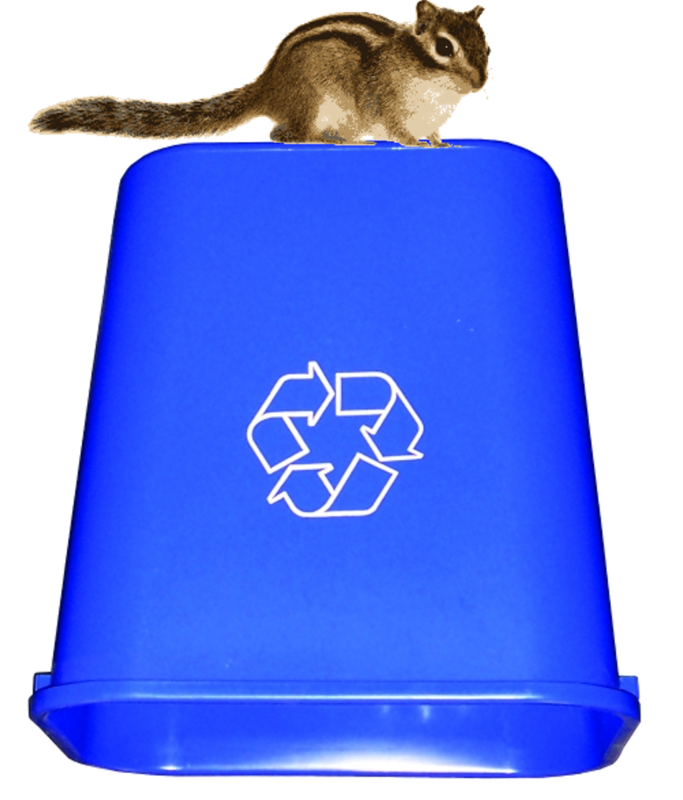 – or 290-ish poorly planned Lyndhurst to Bickle nose-to-tail chipmunk trips) waste audits looking at what we’re throwing in the garbage suggest that as much as half of everything we send to landfill could have been recycled or composted. And on top of that, a study by UHN’s very own Energy & Environment found that over 5% of all waste disposed of during terminal cleaning of an inpatient floor consisted unused and unopened supplies. UHN’s saves money though recycling (around $140,000 last year), but we’d probably save a heck of a lot more if we could figure out how not to throw out unused and unopened stuff – 5% of a heck-of-a-lot-of-garbage adds up quickly. Remind yourself of UHN’s recycling “rules”, either by visiting the Energy & Environment intranet page, or getting in touch (14-6190). Reconnoiter locations of the nearest recycling bins, and if there are none…get in touch (14-6190). Remember to bring your Refillable mug and water bottle – sure, it’s a small piece of the plastic puzzle…but it’s a start and one of the easiest ways to reduce waste. Realize that it’s worthwhile to figure out a better way (and get in touch: 14-6190).Because, if there’s one cliché that I don’t mind recycling over-and-over it’s gotta be “it’s not waste until it’s wasted”. Fabulous article Ed! My favourite topic too.